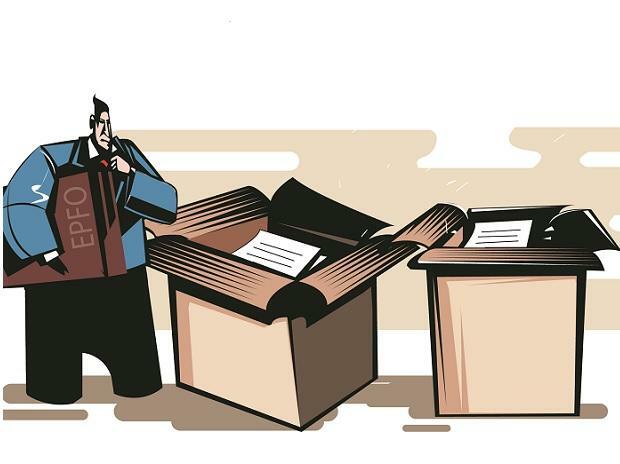 The Employee Provident Fund Organization (EPFO), is likely to ramp up the corpus that it invests in the central government’s two exchange traded funds — the Central Public Sector Enterprises ETF (CPSE ETF) and Bharat 22 ETF, 2019-20 onwards. Business Standard has learnt that EPFO could invest more than Rs 4,000 crore in the two ETFs next year. “We have had multiple discussions with EPFO. They have understood the concept. Their investment in the two ETFs next year should be around Rs 4,000 crore. In a year, EPFO invests around Rs 25,000 crore in ETFs,” said a finance ministry official. From August 2015 to December 2018, the EPFO invested Rs 63,224 crore in ETFs. Of this, only Rs 5,507 crore, or 8.7 per cent, has been invested in CPSE ETF and Bharat 22 ETF. The rest have been invested in ETFs of SBI Mutual Fund and UTI Mutual Fund. 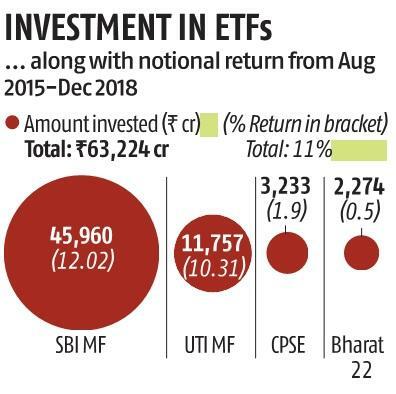 The return on investment for these period, for EPFO, has been 12 per cent from SBI Mutual Fund, 10.31 per cent from UTI Mutual Fund, 1.9 per cent from CPSE ETF, and 0.5 per cent from Bharat 22 ETF. Government officials, however, defended these numbers and said the ETFs have been tracking the performance of PSU indices. This isn’t the first time the Centre has reached out to EPFO to invest in its ETFs. Following a proposal from the Department of Investment and Public Asset Management (Dipam), the EPFO invested Rs 2,025 crore in the New Fund Offer of Bharat 22 ETF in November 2017. EPFO further invested Rs 250 crore in Bharat 22 ETF in June 2018, after receiving another request from Dipam to invest during the Further Fund Offer of Bharat 22 ETF. The EPFO has also invested in the fund offers of CPSE ETF in two tranches — Rs 1,504 crore and Rs 303 crore in January 2017 and March 2017, respectively. However, before investing in CPSE ETFs, the central board of trustees of the EPFO had decided to negotiate with Dipam to “get incentives” on a part with retail investors. It had decided that 5-20 per cent of the total ETF investments made during a year would go towards CPSE ETFs. The latest proposal from Dipam came in October 2018, when it asked the EPFO to invest in another fund offer of the CPSE ETF. This time, the EPFO invested Rs 1,425 crore towards it in November 2018. EPFO is permitted to invest 15 per cent of fresh accrual of its subscribers in ETFs. The Bharat 22 ETF draws companies from six sectors. The constituents of the basket are Nalco, ONGC, Indian Oil, Bharat Petroleum, Coal India, State Bank of India, Axis Bank, Bank of Baroda, Rural Electrification Corp, Power Finance Corp, Indian Bank, ITC Ltd, Larsen & Toubro, Bharat Electricals, Engineers India, NBCC, Power Grid Corp, NTPC, Gail India, NHPC, NLC India, and SJVN. Though ITC, Axis Bank and Larsen & Toubro are not state-owned enterprises, the government owns shares in them through the Specified Undertaking of Unit Trust of India. The CPSE ETF, after being reconstituted in 2018, constitutes NTPC, SJVN, NLC, NBCC, ONGC, Coal India, Indian Oil, Oil India, PFC, REC and Bharat Electronics.